Born: 8 November 1876, York, United Kingdom. Died: 1 February 1945, Cape Town, South Africa. William Alvara Humphrey, eldest son of Alvara Humphrey of York, England, and his wife Sarah Ann Cutts, received his schooling in Leeds. He came to South Africa in 1894 and three years later passed the matriculation examination of the University of the Cape of Good Hope. In 1902 he attended the South African College, presumably after studying privately for some time, for at the end of that year he passed the examination for the Bachelor of Arts (BA) degree of the University of the Cape of Good Hope, with honours in mathematics and natural science. The South African College awarded him a bronze medal and the Melville prize for geology that year. Subsequently he continued his studies in geology at the Universities of Vienna and Munich and was awarded the degree Doctor of Philosophy (PhD) with a thesis entitled Ueber eine erzlagerstaetten in der umgebung der stangalpe (1905). In July 1905 Humphrey was appointed as geologist in the Geological Survey of the Transvaal Colony. After the formation of the Union of South Africa in 1910 he continued as a geologist of the Geological Survey of the Union until 1917. During these years he carried out extensive geological surveys in the Transvaal. The resulting reports, published in the annual Report of the Geological Survey of the Transvaal Colony (1906-1909) and of the Union of South Africa (1910-1914) dealt with, among others, the geology of portions of the Lydenburg and Carolina districts, a portion of the Bushveld south of the Rooiberg and east of the Crocodile River, the Rustenburg and Zeerust bushveld south of the Dwarsberg, the Rooiberg tinfields and surrounding area, the Marico district, the Pilanesberg, the Klip River valley and the Transvaal Sequence to the west of it, and the Pretoria Group south-east of Rustenburg. He also contributed to geological maps (or their explanations) of Nylstroom, Belfast, Pilanesberg, Marico, Witfontein, Pienaars River, Piet Retief, Vryheid, and Johannesburg. Humphrey devoted special attention to magmatic differentiation and the titaniferous magnetite and chromite ores of the Bushveld Igneous Complex. With A.L. Hall* he was one of the first to search for platinum in the chrome ores of the Bushveld in 1908, but although they found traces of the metal the concentration was too low to be mined economically. In 1909 he introduced the name Rooiberg Sedimentary Series for what is now known as the Rooiberg Group. His study of the volcanic rocks of the Pilanesberg was published in the Transactions of the Geological Society of South Africa in 1912. After 1910 Humphreys's work took him to Natal, from where he reported on a geological traverse through parts of the Vryheid district and Zululand, and on the geology of portions of northern Natal and the Piet Retief, Wakkerstroom and Utrecht districts. In 1913 he introduced the name Pongola Series (now Pongola Sequence) for a succession of sediments and lavas along the Pongola River. 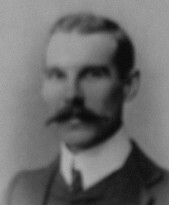 Humphrey was a fellow of the Geological Society of London, and a member of the Geological Society of South Africa from 1905 to 1924. In 1905 he became a life-member of the South African Association for the Advancement of Science, and from 1908 a member of the Royal Society of South Africa. He resided in Vryheid until 1917, when he resigned from the public service and is said to have gone farming in northern KwaZulu-Natal (Dictionary of South African biography). However, his address in the list of members of the Royal Society of South Africa for 1917 is given as the Ohlange Institute, Phoenix (an urban area just north of Durban). This institute was an industrial school for Zulu pupils, founded by the American Board of Commissioners for Foreigh Missions in 1899. His address in 1918 and 1919 was again in Vryheid, Natal. In 1923 he retired to Cape Town, but continued some geological work. In 1927 two papers by him were published in the Transactions of the Royal Society of South Africa (Vol. 14, pp. 217-219 and 219-225): "Note on an occurrence of diamonds near Port Nolloth", and "The changed conditions of Namaqualand". A few years later he and L.J. Krige wrote the explanations of geological maps of the country south of Piet Retief (1931, 67p) and the region surrounding Vryheid (1932, 59p). Humphrey was an unassuming and likeable person, with an interest in music and sport. He married Esther Emmeline Churchill of Durban in October 1906 and they had three children. In 1935 he was married again, to Elizabeth Drew-Simms (born Speake). Council for Geoscience. Catalogue of publications of the Geological Survey and government publications dealing with earth sciences. Pretoria, 1997. Hall, A.L. A bibliography of South African geology... . Pretoria: Geological Survey, Memoirs No. 18 (1922), 27 (1931), and 30 (1937). Humphrey, William Alvara. Geni, at https://www.geni.com/people/William-Alvara-Humphrey/6000000000156961368 Retrieved on 2017-12-13. Lombaard, B.V. Die ontdekkers van platina in Transvaal. Historiese Studies, 1945, Vol. 6, pp. 32-40. National Automated Archival Information Retrieval System (NAAIRS). http://www.national.archives.gov.za/naairs.htm Documents relating to William Alvara Humphrey / W.A. Humphrey. Royal Society of South Africa. Transactions, 1908-1910, Vol. 1 and 1917, Vol. 6: Lists of fellows and members; 1927, Vol. 14: Papers by Humphrey. South African Committee for Stratigraphy (SACS). Stratigraphy of South Africa. Part 1. Lithostratigraphy... (pp. 71a, 192b). Pretoria: Geological Survey of South Africa, Handbook 8, 1980. Transvaal [Colony], Mines Department. Report of the Geological Survey, 1907. University of the Cape of Good Hope. Calendar, 1904/5.